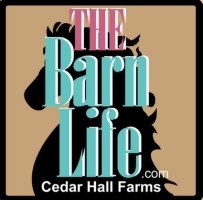 The Horse Lovers Forever Saddle Club welcomes beginners through advanced riders starting at age four through adult to enjoy riding lessons at The Barn Life at Cedar Hall Farms. The Barn Life offers the NEW Girl Scout Junior Horse Badge program along with The Barn Life fun patch for all levels of Girl Scouts. Troops and service units are welcome to host their next event at the farm! Call 757-237-6253 for more information or visit www.facebook.com/thebarnlife or www.thebarnlife.com. The 2016 Girl Scout Cookie Program theme is "Worth Sharing", and the mascot is "Daisy Belle". Girl Scout Cookie Program starts January 9, 2016. Booth Sales start February 20, 2016. Tentative Service Unit Cookie Coordinator training dates are November 9-11, 2015. Freight costs are being reduced. There are no charges to customers for Gift of Caring orders. Help us prepare - parents and guardians, make sure both your information and your Girl Scout's information are correct in eBiz (name, email, date of birth and grade). The gluten-free Toffee-Tastics are back! Service units will be required to pre-order in October. Inventory will be available in cupboards. This is a new program that inspires older girls to build leadership skills as they mentor younger girls keeping them enthusiastic and engaged in the Girl Scout Cookie Program. The 2015-16 Fall Product Program Theme is "Reach New Heights". Fall Product Program starts October 3, 2015. Booth Sales start November 7, 2015. Register for Service Unit Fall Product Coordinator Training online here. Help your service unit earn big rewards for on-time membership renewal. At Girl Scouts, it’s not just that you get to go – it’s that you get to go together. All of your troop’s adventures are even more special because all of the girls will have their friends right by their sides!